Two-engined plane Diamond DA42 Twin Star. The Pilot/technician diligently wipes a snow-white wing. 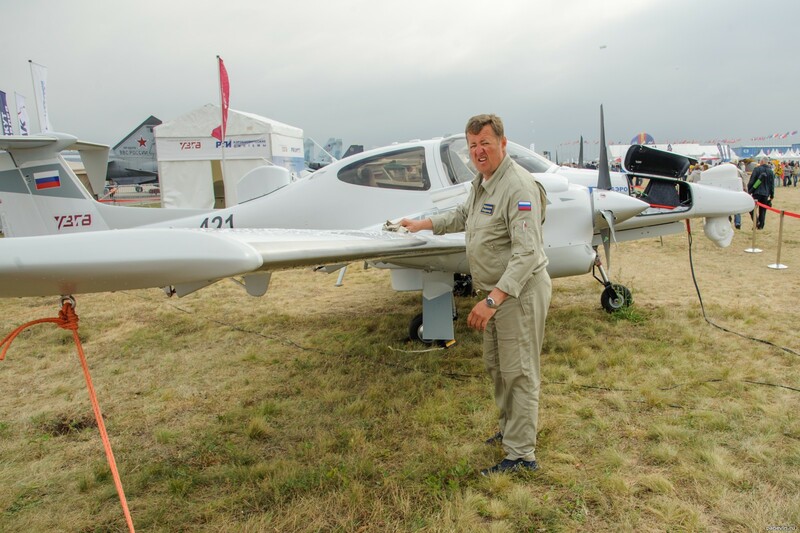 Blog, posts aircraft, MAKS, people, technics.